If your lawn is looking a little lackluster after the winter, it may need some TLC. Check out these lawn renovation tips to help bring your Arizona sod lawn back to life. The first step to getting your lawn back to full health is to work out what is causing your grass to look unhealthy. Treat the problem before working on a new lawn. Find a lawn care professional you trust to help you with diagnosis and treatment. 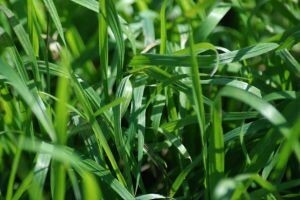 Here are some problems you may want to look for in your lawns. Take a good look at your lawn, how much damage has actually occurred? If the answer is more than half, it may be a good idea to start from scratch. The best way to do this is to use an herbicide with glyphosate, this will allow the grass to be killed off whilst still allowing sod to re-root and grow back quickly. Once you have applied the herbicide, give your lawn a couple of weeks. Once the herbicide has been down for two weeks, you can then give your lawn a low mow. This should leave your lawn short and will help prevent erosion. Now is the time to hire a power rake. Power rake your lawn, leaving the smallest layer of thatch. Rake your lawn again, this time you will be raking away debris. You may then need to rake again, you will know you have raked enough when you see equal amounts of dead grass stem and bare soil. Your lawn should now be ready to take on new seed or sod. If you decide to re-seed your lawn be sure to follow directions on the package, this will result in a healthier looking lawn. It is a good idea to add a weed deterrent before your new lawn really starts growing back. Use a pre-emergence herbicide with Siduron. This will allow your grass to grow whilst preventing weeds from growing alongside your grass. Everything should be planted now and it is important to keep your new lawn moist. The first couple of weeks you will want to make sure the soil doesn't get dry. Once the lawn has started growing you can slow down to one to two times a week. Remember dry is not good, but neither is soggy. Once your new lawn is looking healthy and it has grown to around 3 inches tall, you can give the lawn a mow. Remember, be sure that your mower blade is sharp. Now that your lawn is healthy again, you won't want to cut it too short. These lawn renovation tips can help you bring your Arizona sod lawn back to health before the summer heat kicks in.